In this article, we’re going to cover how to export audio in FL Studio. 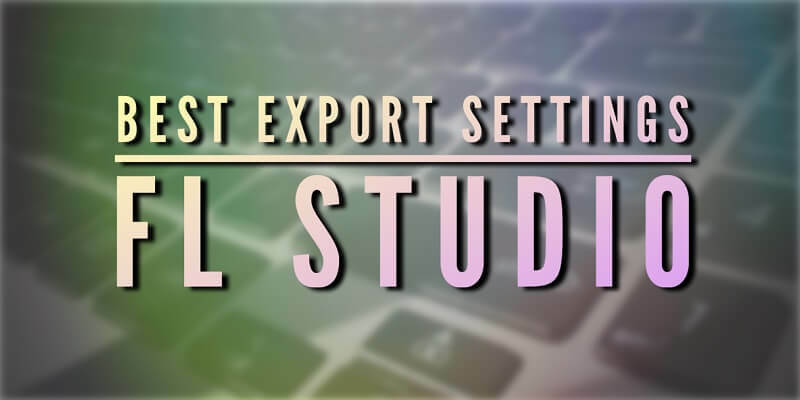 We’ll also be covering commonly asked questions about what are the best export settings in FL Studio, why there’s no audio on export, exporting only a selection in FL Studio, and if FL Studio is capable of rendering video! Before we proceed, please do not fall victim to the myths out there when it comes to export quality when comparing DAWs. 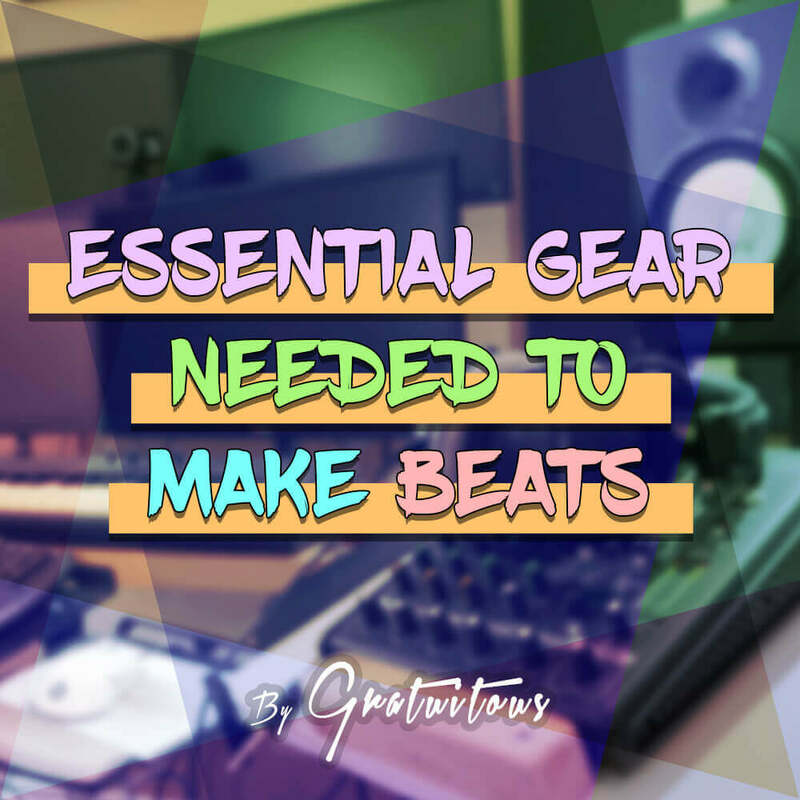 If you are new to producing, it truly comes down to your skills of mixing and mastering. Here’s the beautiful thing about exporting audio; it’s very simple in compared to exporting video! There really isn’t much to know about exporting high quality in FL Studio, except for deciding if you should export a .WAV or .MP3 file. (Explained in our next section). Let’s walk through the settings window. Within Mode, selecting Pattern will export the individual pattern you’re currently selected on. Full song will export your Playlist. Image taken from Image-Line’s help manual on tail settings. Also, some of these options will not be available with certain formats. The sliders are just the compression settings; if you want higher or lower quality audio, with a result of a bigger or smaller file size. Simply just Left Click to select or deselect your desired format. Bit-depth is getting pretty in-depth for this article, but just so you’re aware, bit-depth determines how much volume can be stored. The biggest argument when bit-depth is discussed is the super quiet parts of songs. Since 24-Bit allows you to have a larger dynamic range, when it comes to dither and quantization error, you may get away with a more natural sound. But honestly, this is a moot-point. Listener’s of music will never notice this. They want to hear your music. They aren’t going to be cranking up the volume at super quiet parts of the song to hear your dither and noise floor! At the end of the day, 16-Bit @ 44.1kHz is CD quality and is extremely high quality. We’ll cover each option in a bit more detail. 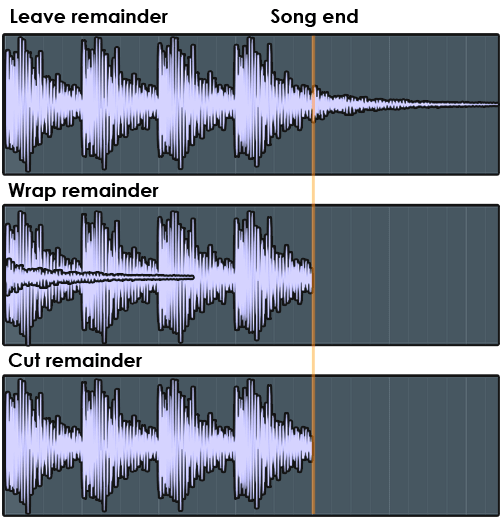 Resampling comes into play when you start transposing samples from their original pitch. For example, if you have a kick drum playing at different notes. FL Studio suggests leaving this at the highest quality you’re willing to bare for your export times. Disable maximum polyphony ignores any setting restrictions you’ve enabled in the channel settings. From my readings over the years, a way to help reduce CPU is to reduce the amount of notes played at once. So within the project, you can limit the amount of notes played, but on final export you can choose to override those settings and disable it. Now, from a creative standpoint, sometimes you may actually want to limit the amount of notes as it can create a bit of randomness in a pattern’s sound. Dither is a huge can of worms for a topic. Long story short, when you are changing from one bit-depth to another, you’ll want to dither. For example, FL Studio works in 32-bit floating point. When we export to a 16-Bit .WAV, we are now changing the bit-depth, and should enable the dither option. Another golden rule I’ve read around the web is when in doubt, dither. Dither adds a very quiet bit of noise to help prevent quantization error. Again, this is when changing bit-depths, the audio sometimes has to guess where the point should land. Too complex for this article. So when exporting for your final render, select dither. If you use a third-party Limiter that allows you to dither, I’d choose one or the other. Note, if you want to export stems in FL Studio, just select Split mixer tracks. 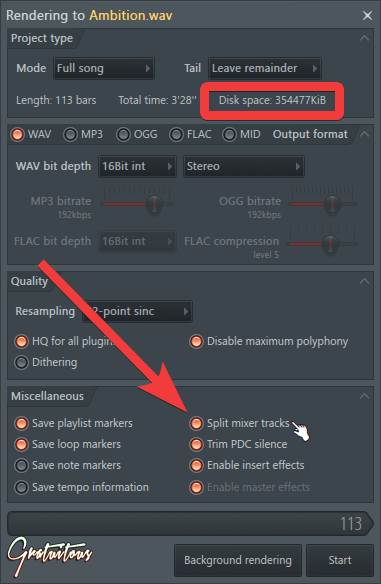 It sounds like Trim PDC silence only applies to .WAV files, and determines whether or not to include silence at the beginning of the track that is equivalent to the amount of PDC in your track. Confused? Ya.. me too. Leave Trim PDC silence enabled. I leave both Enable insert effects and Enable master effects ON. You’ve worked so hard to mix your individual tracks and master it, right? So it’s only right when you export that all your hard work is rendered into that final mix file. If you’d like to export a dry version of your song, this is where these options come in handy. It will export your song with no effects in FL Studio. Select Start and you’ll be able to listen, share, or upload your file when it’s done rendering! Let’s talk a bit about the different audio containers so you can have the knowledge of what’s best practices, and how to get the best quality out of your FL Studio exports. As mentioned, audio is really simple in comparison to exporting video, in my opinion. We simply have high quality and low quality, for the most part. .WAV and .FLAC are high quality files because they are lossless. This means when you export the audio, no data information is removed from the actual music to lower the file size. .MP3 and .OGG are lossy formats. .MP3 used to have patents on it (read more here), and exports at a constant bitrate, making file sizes a bit bigger than .OGG. .MP3 is VERY popular and can literally play on any device. .OGG is an open source lossy format, which exports at a variable bitrate, making file sizes smaller. It’s not as popular, as .MP3, but who knows in recent years! Why use a lossless (.WAV or .FLAC) over a lossy (.MP3 or .OGG) container? When exporting audio to upload onto a CD or online distribution (iTunes, Spotify, etc. ), I’d highly recommend .WAV. But if sharing your song to a friend through email, or something similar, .MP3 would probably be a better route. If they don’t produce music, they probably won’t even hear any difference in audio quality. But again, a .WAV file @ 16-Bit 44.1kHz is CD Quality, and what I use to upload my music for online distribution. Anything higher than that has very subtle nuances, if any (many debates on it), but one thing is for sure, the bigger the bit-depth and sample rate (44.1kHz, 48kHz, 96kHz, etc. ), the larger the file size. A cool bonus tip I’ll share is if you increase your sample rate, you can actually get better performance out of MIDI controllers as you’re able to get lower buffer times. Now to change your sample rate in FL Studio, you do that from within the settings. At the end of the day, I personally use 16-Bit @ 44.1kHz for my .WAV exports, and am very happy with that choice. If you’re only wanting to export a certain part of a song, what you have to do is highlight a selection within the playlist. You highlight the bars (the numbers) at the top of the playlist. 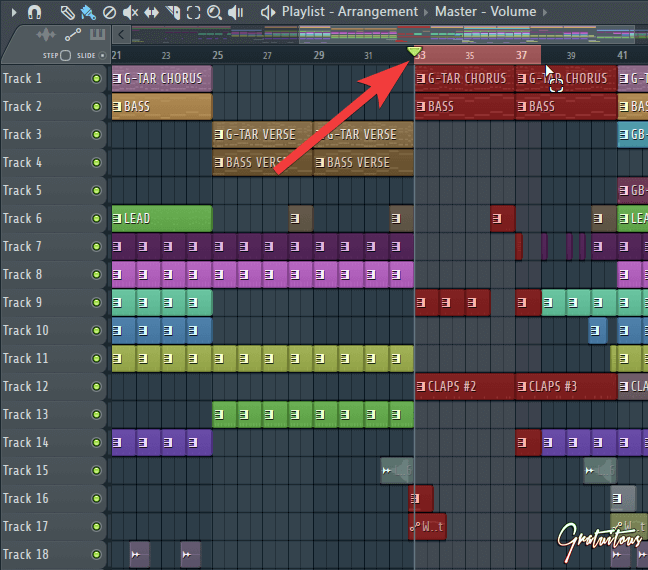 After you’ve highlighted the area, go to export as you normally would, and it will export that segment in FL Studio. You’ll also notice Mode under Project Type will say Song Selection instead of Full Song. Let’s cover some of the common questions about exporting in FL Studio. Why Does My Mix Sound Bad after Exporting in FL Studio? In my experience, this truly comes down to your mix and master. If you are new to producing, mixing and mastering requires a lot of knowledge, practice and skill. The way how you test is literally by bringing your music to these devices and listening. Once you know your room and how your speakers sound, mixing does become easier, but even then, you’ll still see studios with multiple speakers. This is so they can test their mix across multiple devices just to make sure their work is ready for the world. With that said, make sure to follow my export settings above. .WAV is going to be your best choice, and I choose 16-Bit. In addition, on your master channel, make sure your audio isn’t being pushed into your limiter super hard; that can always have devastating effects to your music. Another trick you can do is bring in a reference track. That way, before you think your FL Studio export sounds muffled, you can compare your track to a real one before exporting. This means dragging in one of your favorite commercial releases and literally comparing that reference track to your whole song. You’ll have to be careful to make sure that the reference track has no effects applied to it, though! This way, when you switch between the reference track to your track, you’ll be able to hear their EQ settings, its loudness, and overall polished sound. A way how you can do this is instead of having the effects on the MASTER bus, you can create a sub bus which all your instruments run through. On this sub bus, you’d treat this as a master, applying your final effects. Now when switching between the reference track to your own, you’ll see what you need to improve on. Then upon export, just make sure you’ve selected a .WAV 16-Bit file. All should be good. 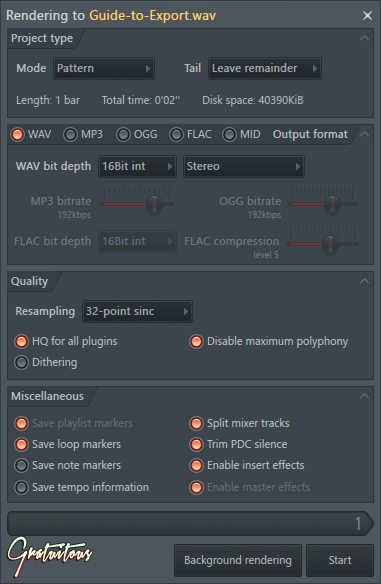 FL Studio does not render audio at a lower quality than other DAWs, like the myths out there say. I’d probably say these people have not mixed their music well, and are upset their FL Studio renders are not up to par with their favorite tracks. FL Studio exports in two ways: Pattern Mode or Full Song Mode. If you’ve selected pattern mode, and have some activity/data going on within that pattern, you’ll then only export audio that is within the pattern. If full song is selected, you’ll export all audio within the playlist. If you’ve highlighted an area within the playlist, you’ll see FL Studio actually says Song selection for your Mode instead of Full song. This will only export that section which you’ve highlighted. Exporting stems is really easy – you just have to select Split mixer tracks within the export window. If you want more information on stems, you can read about stems here. Can FL Studio Export MIDI Notes? Yes, there’s a couple ways to approach it. I’d personally prefer Project bones. You can also copy and paste sounds from project to project. And finally, you can actually select MIDI from the export settings under the Output format section. Can FL Studio Export Video? Ya! – FL Studio actually has a really cool tool called ZGameEditor Visualizer. I personally use this for album releases or for cool emotions in other videos. 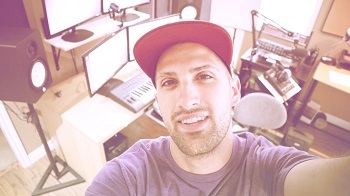 It allows you to create cool animation effects to your music! In addition, FL Studio also has a plugin called Video Player 2. This plugin allows you to sync your music to a video for film scoring purposes. A little tricky to get the hang of at first, but it works good! I’ve used it myself for some little projects! Yes, you can export, as well as save if using the demo version of FL Studio. However, you can’t open saved projects with the demo version. That’s the gotcha of the paid version, as well as other features you’re missing out on! If you’re interested in FL Studio, I personally recommend the Signature Edition. Best Render Technique for Soundcloud and YouTube? Nowadays, loudness standards are being introduced. This means that even if you master your music loud, many of these services will actually turn your music down. And the opposite can also happen if your master is too quiet, some platforms may even turn it up! So what I suggested in terms of export is good! – If you’re experiencing problems, it could be your actual mix/master that’s performing poorly. You can learn how to mix a beat here, or how to master a beat here. That should get you up and running to high quality export settings with FL Studio. Don’t believe the lies out there that FL Studio exports at a low quality. It truly comes down to your skills and knowledge as a producer.